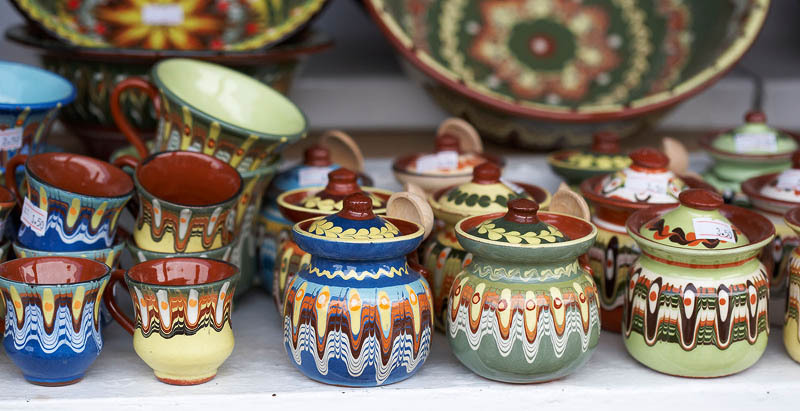 Traditional Bulgarian colourful pottery on stall market. Crockery, earthen coffee and tea cups, sugar and salad bowls. Products of clay loam. Household goods, dishes and objects.